America Needs Fatima Promotes Meet the Witnesses of the Miracle of the Sun by John M. Haffert. 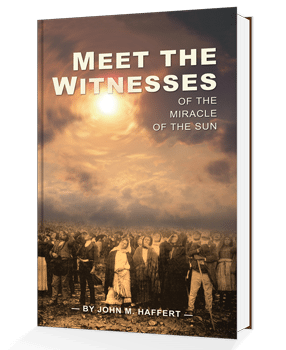 America Needs Fatima has just republished John Haffert’s book, Meet the Witnesses, which contains the most complete collection of eyewitness testimonies to the Miracle of the Sun in Fatima ever made. In an era of rationalism and doubt, this is the book’s unique contribution to the many volumes written on Fatima. However, since the death of Sister Lucy in 2005, Meet the Witnesses has become even timelier. For decades, Sister Lucia’s very presence within the cloistered walls of her convent had reminded millions of Fatima and Our Lady’s requests: daily recitation of the rosary, sacrifice for the conversion of sinners, abandonment of sin, the Five First Saturdays devotion and reparation for the offenses committed against her Immaculate Heart. Sister Lucia’s presence also reminded Catholics worldwide of the chastisement that Our Lady predicted would ensue if her requests were not heeded. If so, it is good to think back to October 13, 1917. Three months earlier Our Lady had promised Lucia a miracle “so that all might see and believe.” The news had spread throughout Portugal and over 70,000 people traveled to the Cova da Iria to see what would happen. Atheists and probably even some Catholics ridiculed the “credulous” and “gullible” pilgrims. In spite of these chides, Our Lady did work a miracle. Though some may have expected wonderful cures like those she worked at Lourdes, Our Lady astonished the crowd with a miracle so terrifying that many thought the end of the world had come. The sun unexpectedly spun all over the sky and even plummeted towards the earth. Professor Plinio Corrêa de Oliveira, founder of the first TFP, wondered if the Miracle of the Sun might not indicate the magnitude of the chastisement unrepentant mankind is bringing on itself. Might other things “spiral” out of control and threaten the world with total destruction? To encourage reflection on this miracle and hence on the Fatima message, the TFP web site is now offering Meet the Witnesses. The personal accounts it contains bring the Miracle of the Sun to life. They vividly project the image of the sun spinning in the sky and nearly crashing to earth. 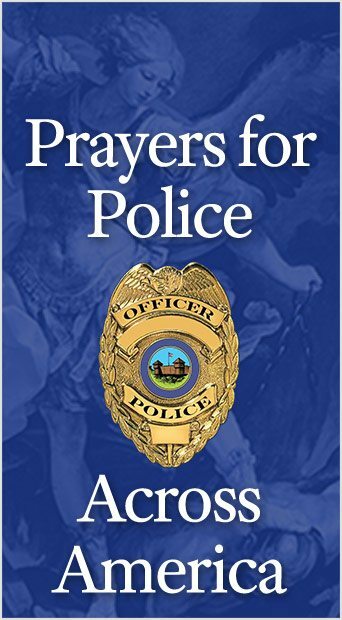 They cause readers today to echo the cry of the witnesses. In the depths of their souls, they too exclaim, “We believe!” Today, the book has become even more valuable, since God has called to Himself most of the witnesses Mr. Haffert interviewed. This entry was posted in Events of 2006, TFP Recommends Books and tagged 1917, Fatima, Meet the Witnesses of the Miracle of the Sun, miracle, miracle of the sun by TFP.org. Bookmark the permalink.